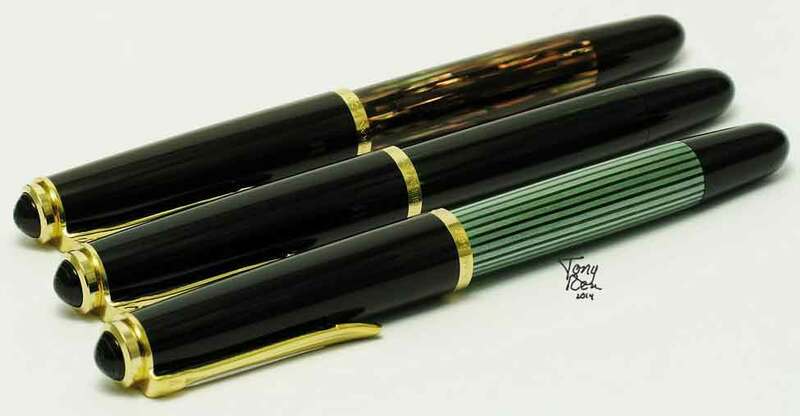 In my post “The Evolution of the Collar, Feed, & Nib,” I mentioned a company called Merz & Krell who manufactured pens for Pelikan for a period of time in the 1970’s. 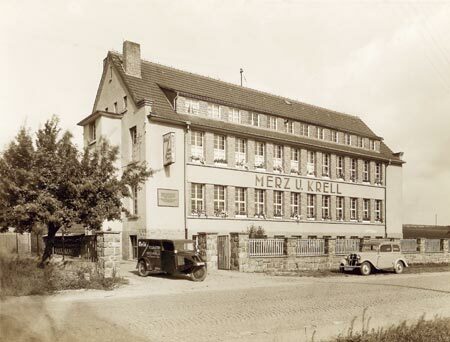 The company’s full name was Merz & Krell GmbH & Co. KGaA and it was founded in 1920 and headquartered in Gross-Bieberau, Germany. Friedrich Merz was born in 1884 and grew up to become a pharmacist. He had invented several water-soluble topical creams and beauty aids which he put into production in 1908 when he built a factory in Frankfurt. Twelve years later he turned his attention to writing instruments and along with his brother Georg Merz and Justus Krell, a machine lathe operator, founded Merz & Krell, a subsidiary of Merz Pharma. Merz Pharma still exist today and is involved in research in the area of Alzheimer’s disease. The company had modest beginnings, employing only a dozen workers initially. Aside from having to shut down production during World War II, the company has continued to grow and thrive. When approached by Pelikan, the company already had a history in designing and manufacturing writing instruments and are probably best known for their Melbi, Senator, and Diplomat lines of pens. In January of 2006, the company changed its name to SENATOR GmbH & Co. KGaA and continues to make pens today and is a leading manufacturer of promotional pens and related items. 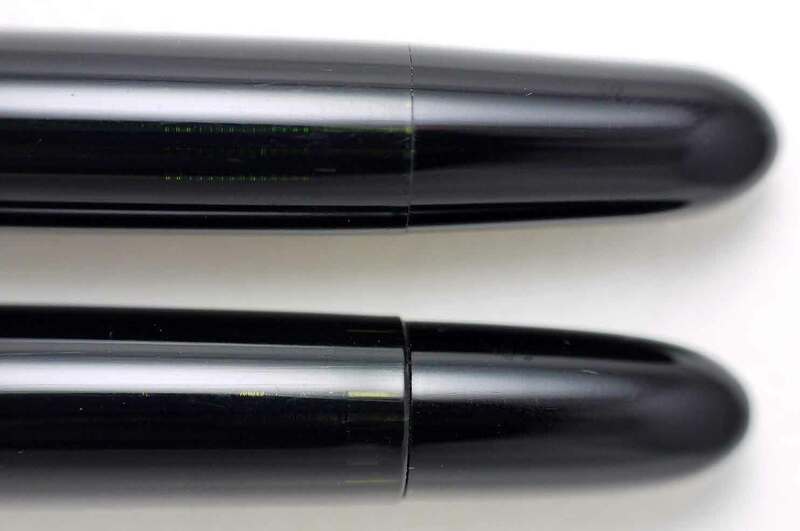 In the 1970’s, two models of pen were produced by Merz & Krell for Pelikan under contract and should be considered genuine Pelikan products since they were factory authorized. The two models that I speak of were the 120 and the 400NN. The original model 120 made by Pelikan was produced from 1955-1965 and is known as the Type I. Production dates of the 120 made by Merz & Krell range from 1973-1977 and this pen is known as the Type II. The Type I models are shorter, measuring a total length of 4.92 inches whereas the Type II is 5.20 inches. The reissued model came in only two variations as depicted in the table below. Green & black Merz & Krell 120’s. The 400NN was reportedly reissued as the result of a request from Japanese retailers. The original model 400NN made by Pelikan was produced from 1957-1965 whereas production dates of the 400NN made by Merz & Krell range from 1973-1978. The original issue is 5.12 inches in total length with the reissue just a bit shorter. The Merz & Krell versions seem to be in demand in today’s market and are somewhat harder to locate. The reissued model came in the variations depicted in the table below. I hope that this helps clear up some of the confusion surrounding these variations and provides some insight into who Merz & Krell are. Feel free to post any comments, thoughts, or critiques that you may have. « Polystyrene – What is it Good For? Is there any difference, say, in value of a 400NN M&K and a 400NN GW pen? I think that the short answer is, ‘yes.’ The Merz & Krell version was mostly destined for the Japanese market and wasn’t widely available making one harder to source and therefore more desirable/expensive for today’s collector. These can easily get misidentified when put up for sale however and deals can be had with some patience. I found a 120 at a yardsale and was pleased to find this information about the Merz & Krell pens. My pen fits your description of the Merz & Krell. I believe mine was made by them, but I have a question. The cap says, “Germany”, not “West Germany” and since the reunification occurred in 1990, would that mean my pen was made then or later? The seller had guessed that the pen was purchased in the 1970’s, but it was just a guess. Hello Pamela. I’m glad that you found my post on Merz & Krell useful. A lot of pens made prior to 1990 were only stamped Germany, including the Merz & Krell models from the 1970’s. Don’t be thrown off by the missing W. as it is not an absolute. In my experience, the W.-Germany stamping is predominantly seen on pens manufactured in the 1980’s. Enjoy your M&K 120. Thank you for that explanation. I do enjoy this Pelikan; it writes so smoothly. I always wondered about Mertz and Krell. The black 120 was my first fountain pen. Every time I use it I love it more and more. It’s a smart little pen – Easy to break down and clean. Do you know if a gold nib was ever available for it? 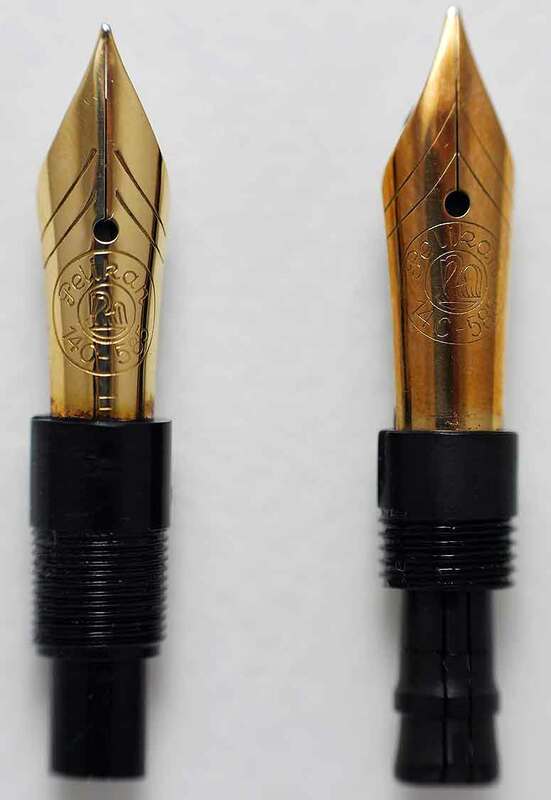 The 120 was only ever issued with a gold plated stainless steel nib. No gold nibs were available that I’m aware of. Are the Nib collars interchangeable between the MK 120 and the MK 400NN?. I have the 120 that I purchased off of eBay and was looking for other nib options (like possibly a gold option). Hello Dave. I cannot speak definitively as I have not owned a Merz & Krell 400NN. From the photos that I’ve seen and what I know, I do believe that the collars are the same between the two MK models and are interchangeable. Only M&K collars will fit and not those from any other Pelikan models.